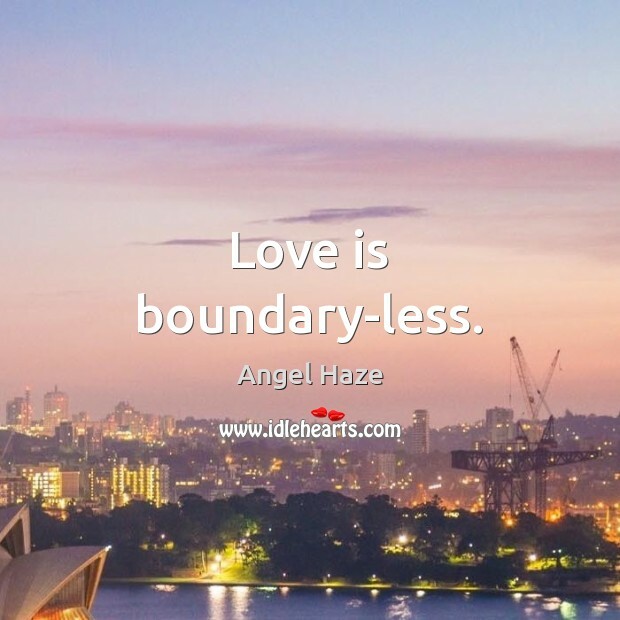 Enjoy the best inspirational, motivational, positive, funny and famous quotes by Angel Haze. Use words and picture quotations to push forward and inspire you keep going in life! 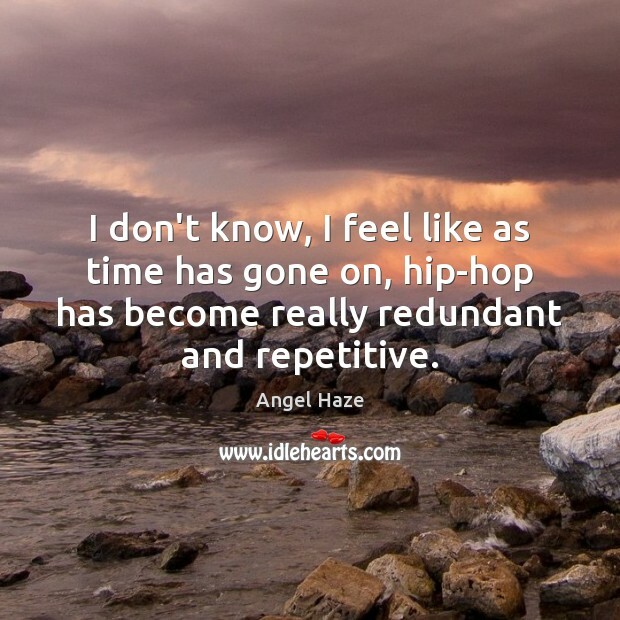 I don't know, I feel like as time has gone on, hip-hop has become really redundant and repetitive. 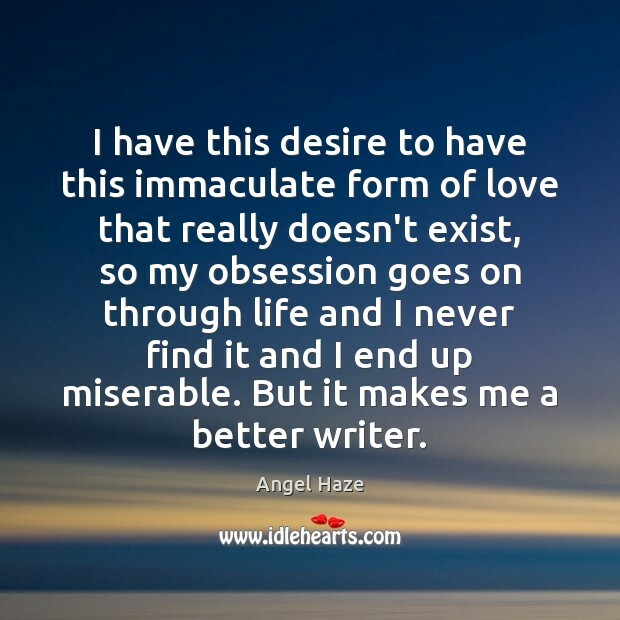 I have this desire to have this immaculate form of love that really doesn't exist, so my obsession goes on through life and I never find it and I end up miserable. But it makes me a better writer. 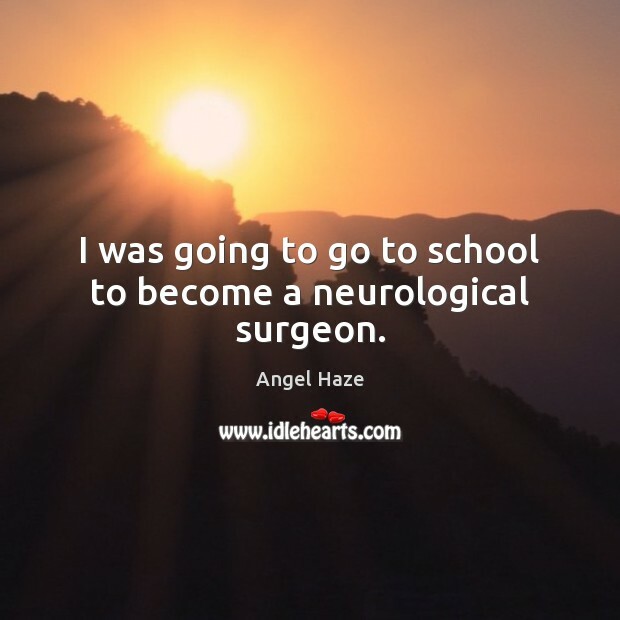 I was going to go to school to become a neurological surgeon. 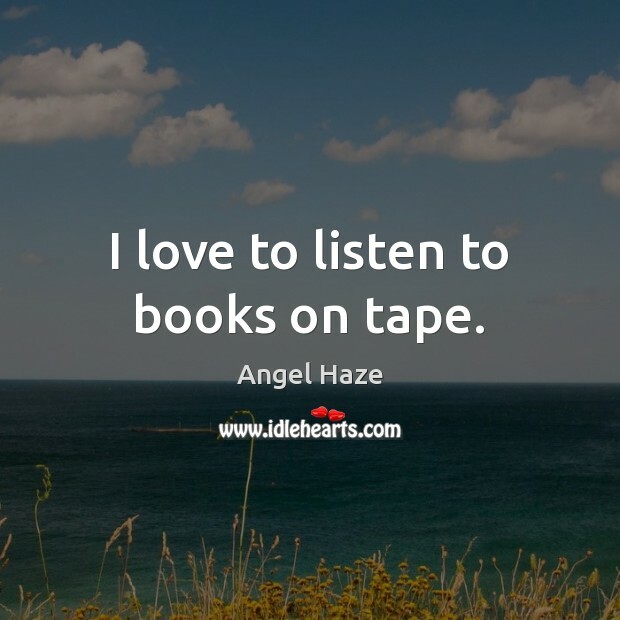 I love to listen to books on tape. 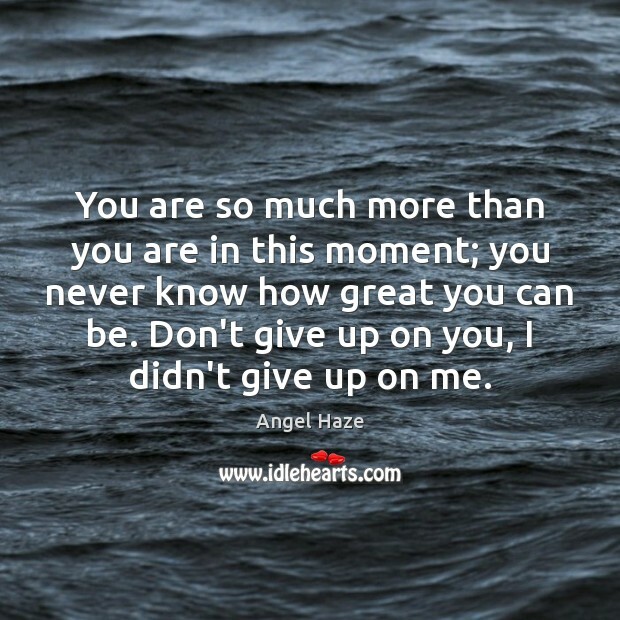 You are so much more than you are in this moment; you never know how great you can be. Don't give up on you, I didn't give up on me. 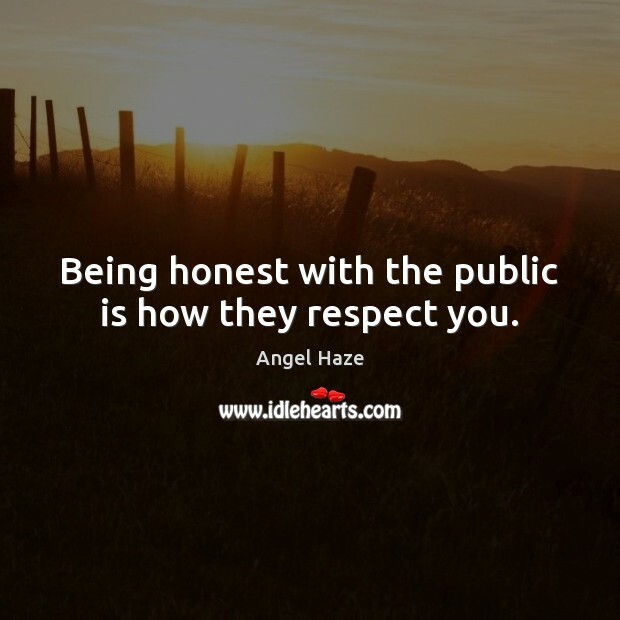 Being honest with the public is how they respect you. 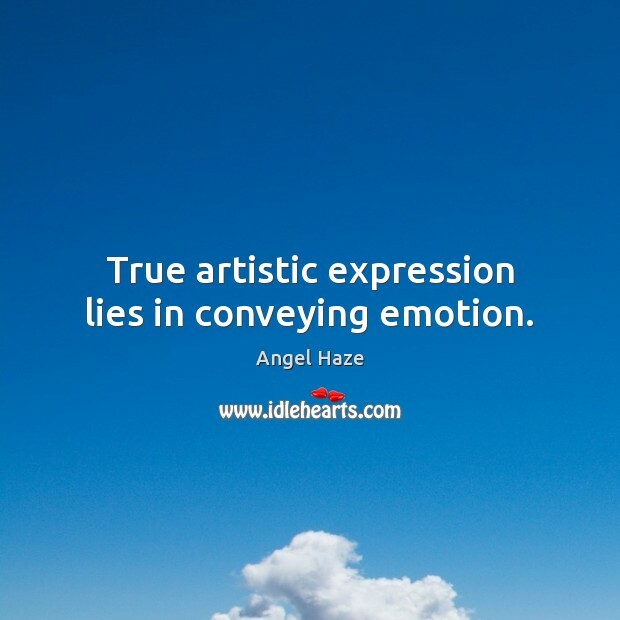 True artistic expression lies in conveying emotion. 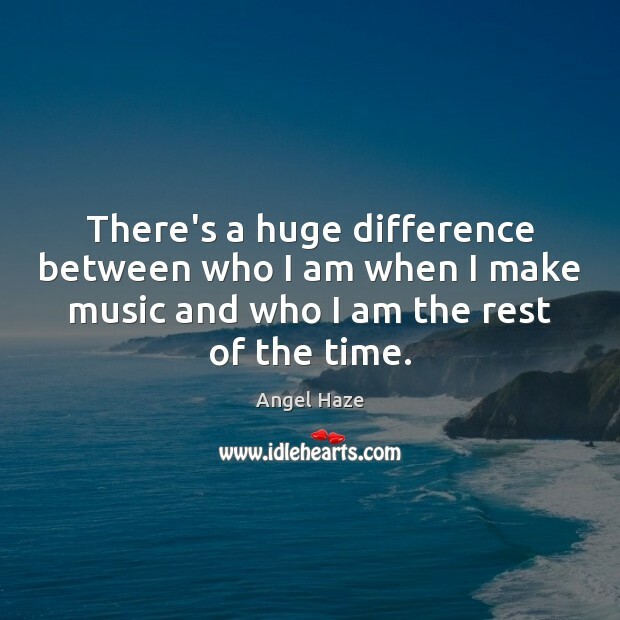 There's a huge difference between who I am when I make music and who I am the rest of the time. I put everyone in my school on to Nicki Minaj before she blew up. I was obsessed with her and I was like, 'If she's the best female rapper then I've got to be better than her. 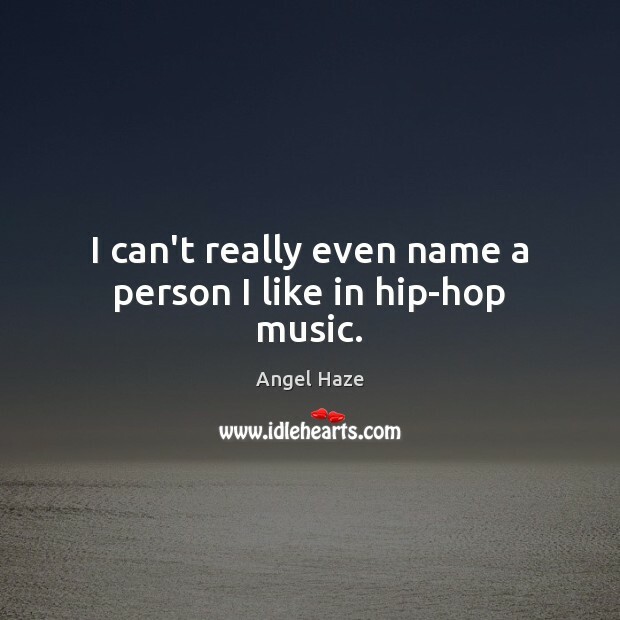 I can't really even name a person I like in hip-hop music. 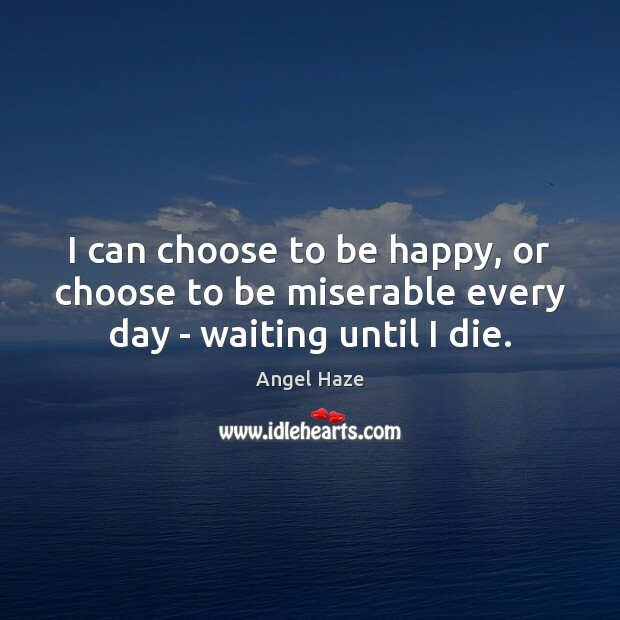 I can choose to be happy, or choose to be miserable every day - waiting until I die. 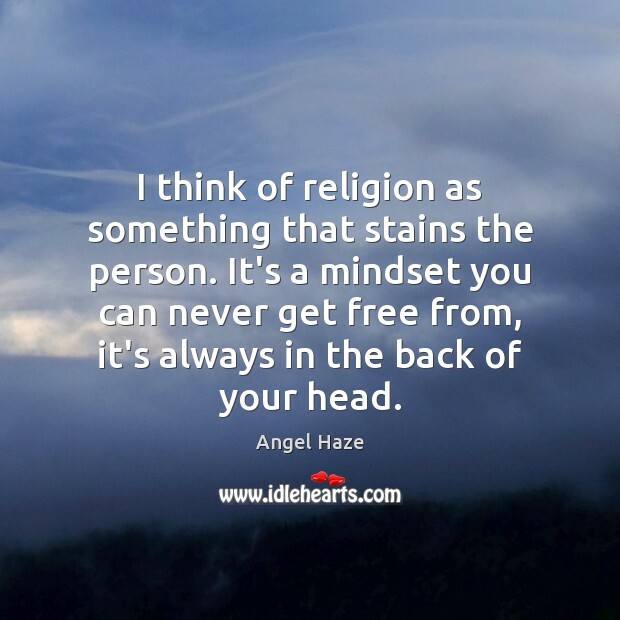 I think of religion as something that stains the person. It's a mindset you can never get free from, it's always in the back of your head. 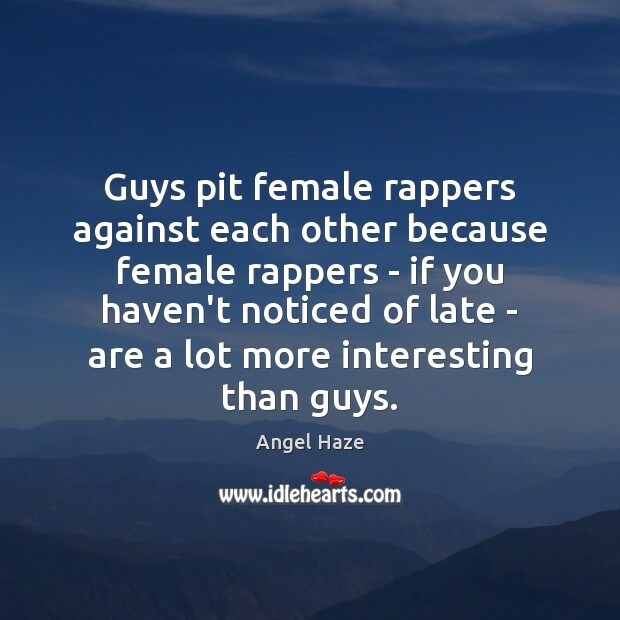 Guys pit female rappers against each other because female rappers - if you haven't noticed of late - are a lot more interesting than guys. Living in New York, you get a lot of confidence; when I go back to Michigan, I realise how obnoxious and demanding and straightforward I am. 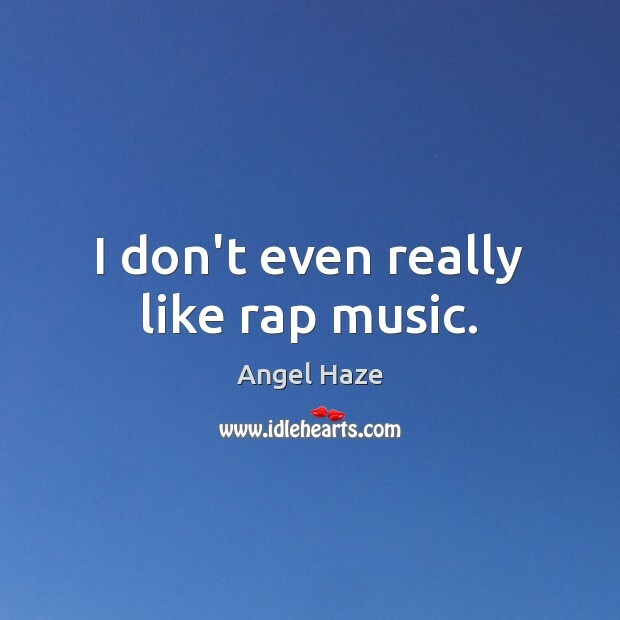 I don't even really like rap music. 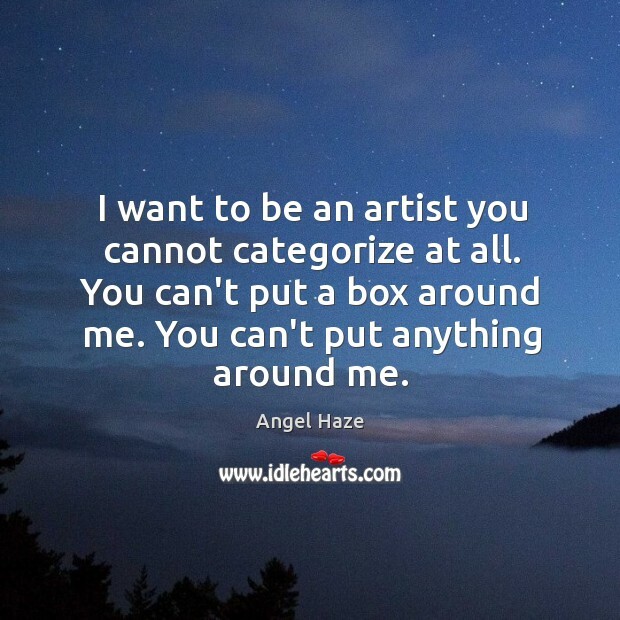 I want to be an artist you cannot categorize at all. You can't put a box around me. You can't put anything around me.